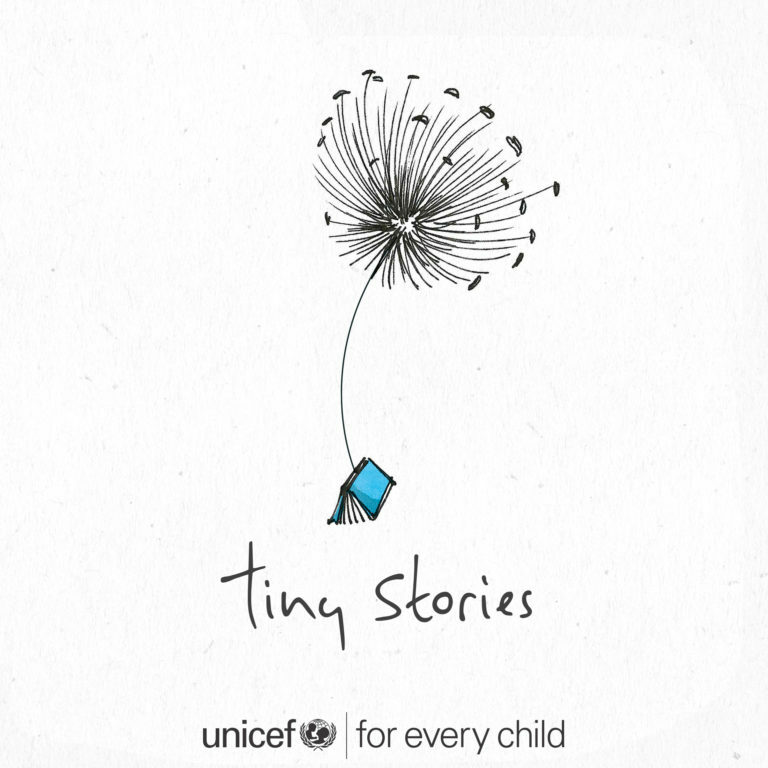 UNICEF is marking its 70th Anniversary, and as part of the celebrations we asked well-known dignitaries and writers from all over the world to participate in our Tiny Stories campaign. Each of them was given the brief to describe their wish #foreverychild in seven lines or less. Here in Ireland, President Micheal D. Higgins, Ballyturk playwright Enda Walsh, world-famous actor Stephen Rea and best-selling novelist Joseph O’Connor are just some of those who took part. Globally, over 200 authors of renown participated. We hope you enjoy their Tiny Stories. Once upon a time, there was a child who was wanted. She was loved, cared-for, clothed, fed, respected, admired in the place she called ‘home’ and supported in the world outside. When she was different, no one laughed at her. When she was odd, no one pointed. Instead, they saw their own reflections in the mirrors of her eyes and thought ‘we’re far, FAR odder, when you look’. The education she received was not only for her, but for us; the same for her healthcare and freedom. Her existence proved that we are not savages or apes, but humans, who are freed from the prison of the self every time we see the world through the eyes of someone else. There, under a duvet he is, between the warm balm of quilt and bed. His room is made of safe yesterdays, the air that he wakes into, the images that open to him as he wakes – all is familiar. Behind his bedroom door other rooms stir – and his family, they too, begin this new day. He is untroubled, unthinking – paused between asleep and awake. They are dreams of an outside world that offer adventure with friends – where all is unhurried – where time unfolds slowly – where joy could be searched for and found. He lies there with all of this and more – for tomorrow and all his tomorrows will wake into the same morning. I met a young man in Mozambique who at the age of ten had raised his younger sisters, due to the death of their parents from HIV Aids. He built a house for them, fed and clothed them. I met Syrian children in an overcrowded refugee camp in Jordan, out in the desert. They sang and laughed and played with the infectious joy that all children have. I wish and hope and pray that all children will find in themselves, and that the world around them will allow them to have, the courage, the strength and the genius for life that those children have. I want every child to grow up in a world where they feel safe to express their true selves. I want them to be able to laugh and cry and shout when they need to. I want them to know that they are loved. I want them to know they are perfect, just the way that are, and they don’t need to change a thing. I want them to know that kindness is the trait they should aspire to cultivate and what they should look for in others. I want them to have enough food to eat, enough books to read, and enough people to love. Remember those days when the teacher wheeled the telly in and you had the best day ever? Remember putting on clean pyjamas in front of the fire after a bath? Remember being carried from the car to your warm bed after falling asleep? Remember coming in the door on a Sunday, the smell of roast chicken heavy in the air? Remember being asked what you wanted to be when you grew up; a vet, a farmer, a dinosaur hunter? Education, shelter, safety, food, a voice. Not everyone in the world has these memories… we want this for every child. The tent is cold and she was awake at night with the noise of bombs from Syria just a few miles away. Syria’s her home, from where she fled with her mum, dad and baby brother and just the clothes on their backs. The Al Zata’ari refugee camp in Jordan is safe, people are kind here, but she still feels fear, and sadness because she left her dolls, her school books, her home. Here, there’s food, precious water and hopefully, warmer clothes for the winter. She can go to school and her baby brother will receive medicine. But still, she’s scared because she’s twelve years old and she knows there’s nowhere else to go unless other people open their hearts. All she wants is to be an ordinary twelve-year-old girl again, not a refugee, not a child of war. Look at the sky, clouds floating free. Here’s the truth if they don’t. You’re worthy of all you wish. Here’s the truth. You should have been told. You are as beautiful and precious a child as this earth can hold. Go líontar thú le comhbhá. Áit chluthar go raibh agat am luí. a chloí le croí maith mór. ar a slí abhaile go Hamelin. with a big open heart. all the way home to Hamelin. Read more Tiny Stories from all over the world.